Quick update to my portfolio projects, I’ve been working on a simple ftp client. Progress has been moving along, I’m able to connect, and query a list of files. I’ve been working on building out a file object data type, and displaying files within a text window by using string tools. 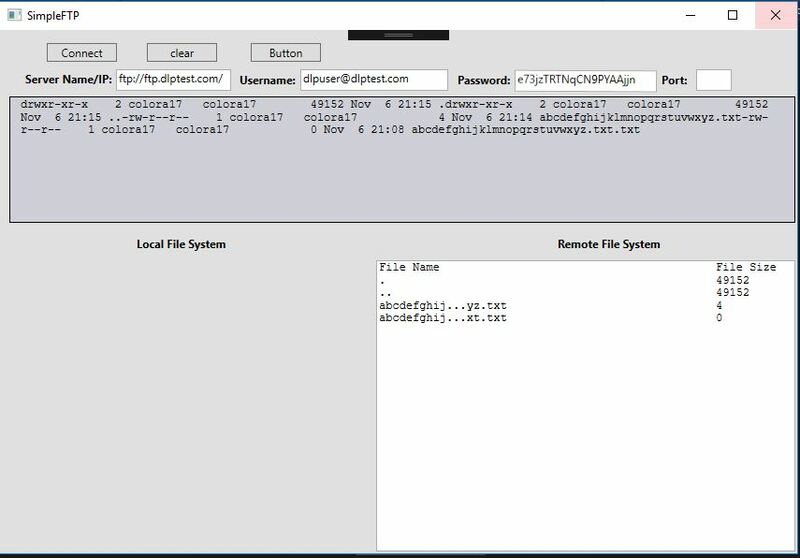 If the file names are exceeding 25 characters I’m doing some truncating using a sub-string to keep the padding and adjustment correct as shown in the remote file system view below. This allows file names upwards of 255 characters. However, the user can still decipher what file they’ve uploaded via extension and last few characters. I thought this was an import feature as many people use filename1, filename2 to increment version changes. Again this isn’t intended to be a full fledged FTP client, my goal is to highlight the core features and show that I can take a web response and make a meaningful WPF application.